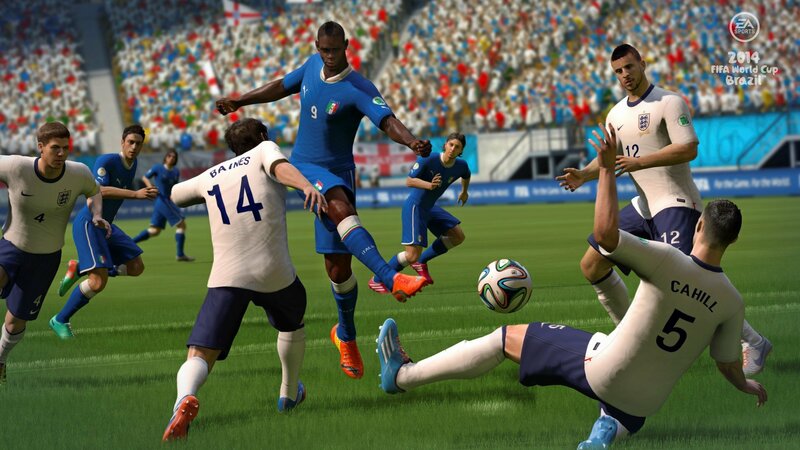 Multiple improvements and innovations to the award-winning gameplay of FIFA 14, plus 100 new animations, make EA SPORTS 2014 FIFA World Cup Brazil the most accessible, fun, and exciting EA SPORTS FIFA title on Xbox 360. 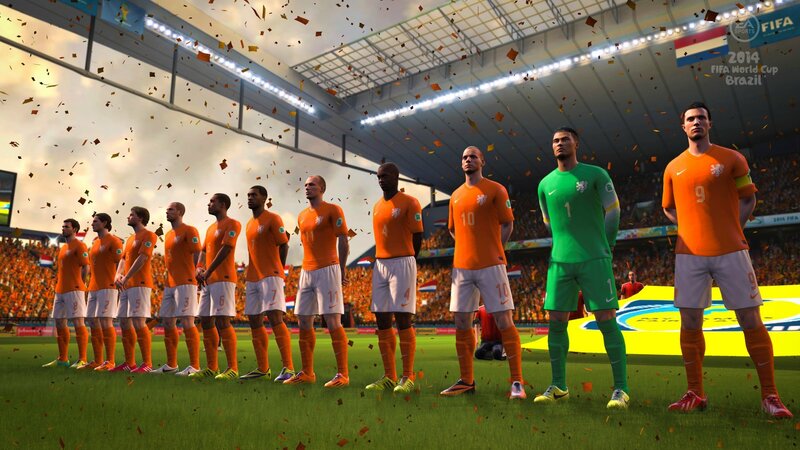 Bring to life the world’s greatest tournament by choosing from 203 National Teams in the deepest set of modes ever in a tournament title from EA SPORTS. Immerse yourself in the FIFA World Cup as you play in authentic Brazilian stadiums, and recognize the support of newly rendered crowds created to replicate the passion and pageantry of the EA SPORTS 2014 FIFA World Cup Brazil. Response Dribbling - Turn quicker at every angle and keep the ball under control. Using the left trigger, fans will find success beating opponents at slow speeds with the new dribbling system. Plus, use all-new new flicks, dribbles, and a new Brazilian-inspired skill move to beat defenders. Pinpoint Passing - Key passing improvements and new animations result in crisper, more accurate, direct, and responsive passing. Ground crosses, outside of the foot curling crosses, and personality given to clearances make moving the ball more satisfying and precise than ever. Explosive Movement - Change direction on and off the ball with purpose and get to space. Players are able to accelerate, decelerate, and change direction quickly on and off the ball, as well as make tight dribble turns and close touches on the ball while dribbling at pace. Set Piece Tactics - New tactics will have opponents fearing set pieces from the flank or during corner kicks. Using the D-pad players tell their teammates to make runs to the near post, far post, edge of the box, or have them crowd the keeper. adidas Ball Physics - EA SPORTS and adidas partner to deliver the most realistic ball physics system on Xbox 360. Taking physics data from the adidas Innovation Lab in Herzogenaurach, Germany, EA SPORTS FIFA development team implemented it in EA SPORTS 2014 FIFA World Cup Brazil to give the Brazuca and other adidas balls true-to-life flight and grass friction in the game. 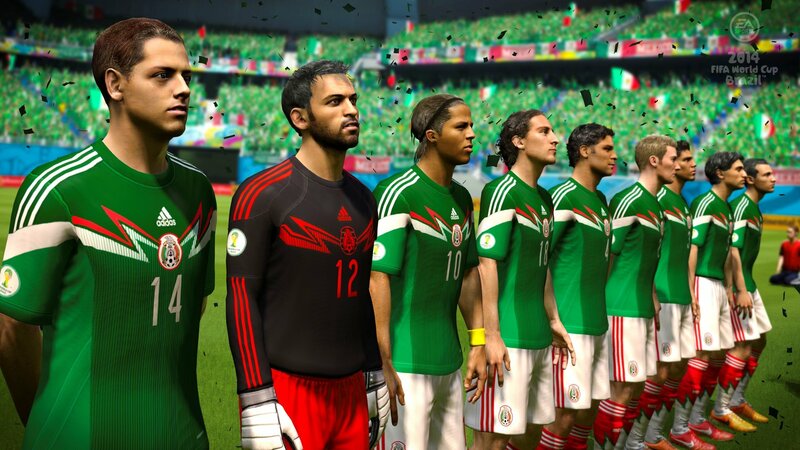 New Penalty Kicks - Feel the drama of FIFA World Cup penalty kicks with new save animations and a shot tuning that puts players in control of their nation’s fate. Penalty Kicks in the run of play now have players on the edge of the box and ready to rush at spilled shots. Also, distract the kick-taker by using Goalkeeper Antics to throw them off using a series of animations including wobbly-knees, matador, and shoot-it-there animations. Over-the-Back Headers - Jump over your opponent’s back to win the possession battle and head the ball. In one example - defenders can now jump over the back of a holding attacker to clear the ball to safety. adidas micoach Training - Complete adidas micoach training sessions to boost in-game attributes for individual players on your team. Choose from six different attribute boosts and 18 different drills to improve your players’ performance during the tournament. Patriotic Presentation - Feel the support of an entire nation with all-new crowd scenes including banners, flags, and seat cards in the stadium, and from Live City events in all corners of the world. Score a goal with England and see fans cheering live in Trafalgar Square. All-new crowd renderings bring the World Cup atmosphere to life. EA SPORTS Talk Radio - Receive dynamic tournament updates from your choice of Andy Goldstein and Ian Darke, or Michael Davies and Roger Bennett (Men in Blazers) as you play through various offline modes in English. Over 50 hours of recorded audio keeps the narrative fresh and entertaining. Teams - 203 teams sanctioned by FIFA. Players - 7,469 players in the game. Managers - 19 officially licensed managers. Stadiums - 21 new stadiums, including all 12 authentic stadiums in Brazil. Commentary - Over 15 hours of added in-game commentary.